9 Watt Magnetic Ballst for 2 Pin CFL. 13 Watt Magnetic Ballst for 2 Pin CFL. 13 Watt Electronic 4-Pin CFL ballast. 18 Watt Electronic 4-Pin CFL ballast. 26 Watt Magnetic Ballst for 2 Pin CFL. 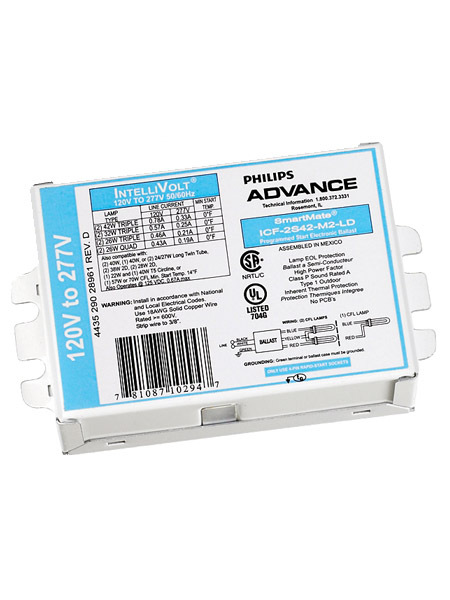 26 Watt Electronic 4-Pin CFL ballast. 28 Watt Magnetic Ballst for 2 Pin CFL. 32 Watt Magnetic Ballst for 2 Pin CFL. 32 Watt Electronic 4-Pin CFL ballast. 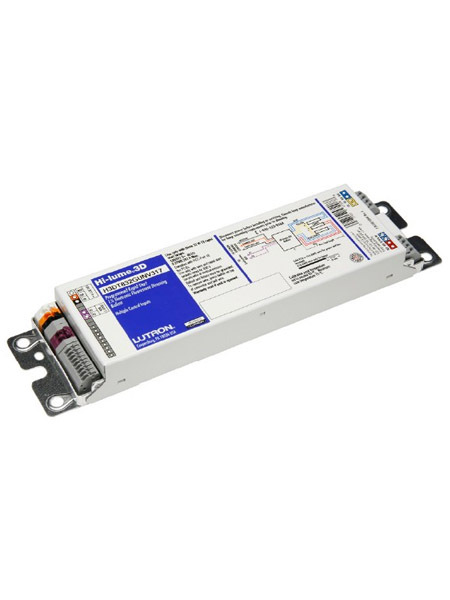 36 Watt Electronic 4-Pin 2G11 Base CFL ballast. 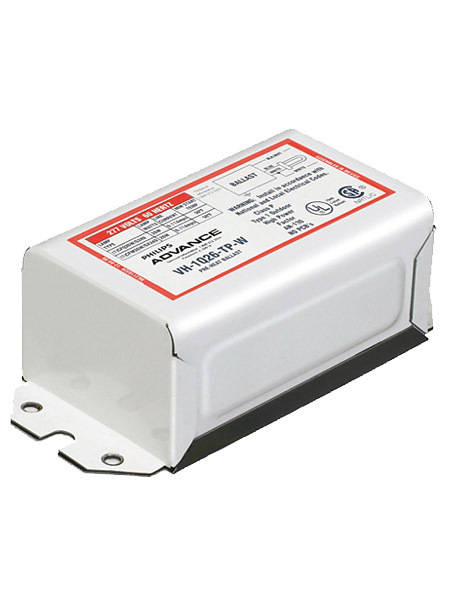 40 Watt Electronic 4-Pin 2G11 Base CFL ballast. 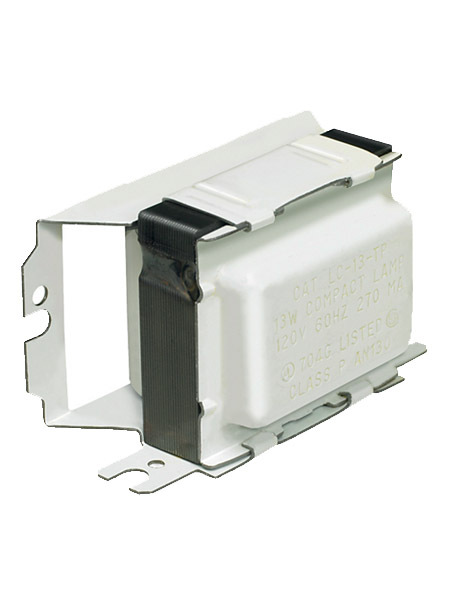 42 Watt Electronic 4-Pin CFL ballast. 50 Watt Electronic 4-Pin CFL ballast. 55 Watt Electronic 4-Pin CFL ballast. 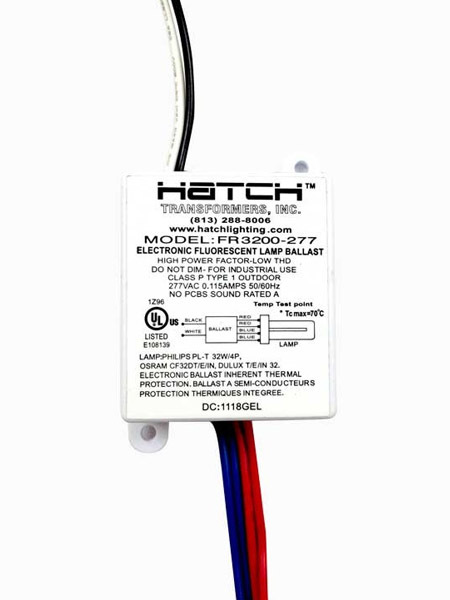 70 Watt Electronic 4-Pin CFL ballast. Electronic ballast for 2D Butterfly style lamp. 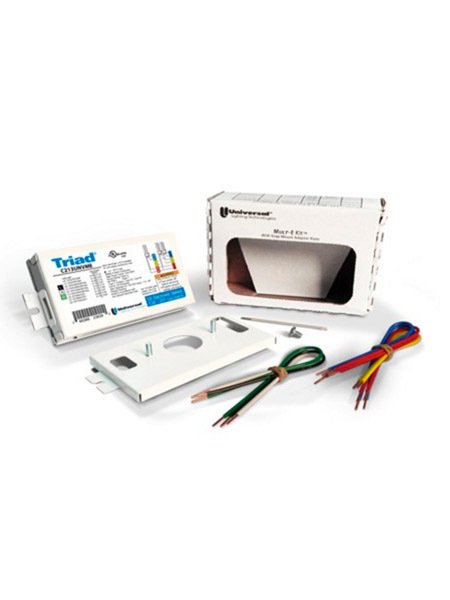 Discover 2-pin and 4-pin plug-in configurations for CFL ballasts. Each formation has a variety of different wattages ranging from 7 watts through 57 watts. 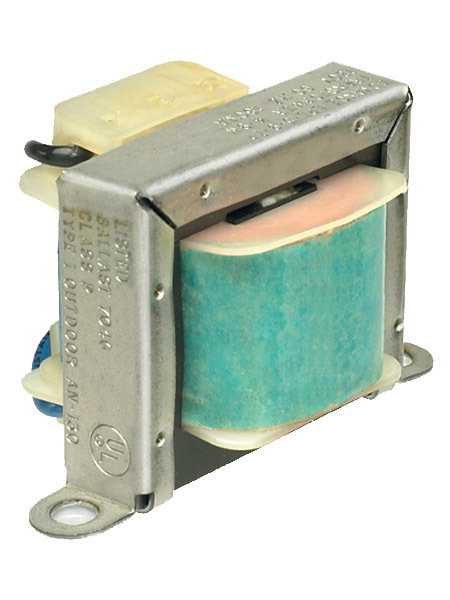 To give you the most complete selection, voltages also vary from 120-280 to fit the needs of your application. 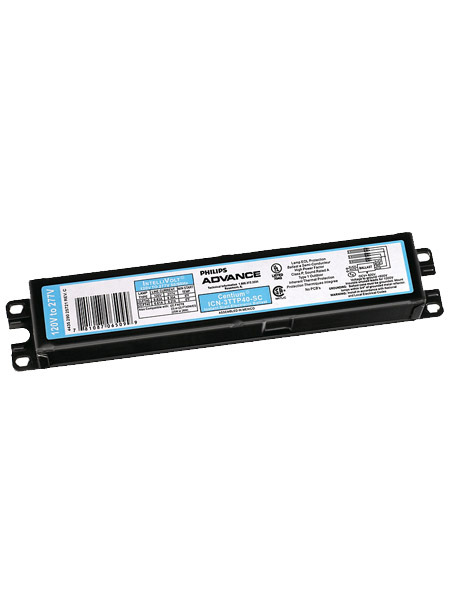 We carry a great selection of Compact Fluorescent Ballasts from many major manufacturers. Low prices, fast shipping and excellent customer service is what we strive to provide to our customers. Please call for more info or for any questions that you may have. Compact Fluorescent Lamp (CFL) CFLs are single-ended T4 and T5 lamps that are bent to form a compact shape. Screw-in CFLs have an integral ballast with a screw base for easy replacement of incandescent lamps. 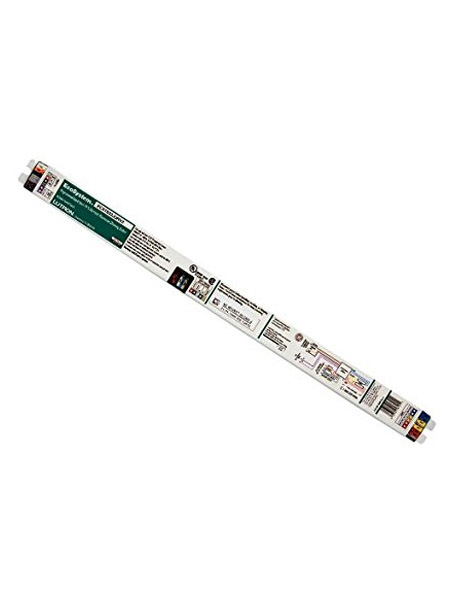 GE offers multi-voltage, multi-lamp and multi-entry ballasts for a wide range of CFL plug-in lamps. Multivolt ProLine® CFL ballasts are designed for plug-in lamps so that a ballast will survive over the useful life of approximately 3-to-4 lamp lives.